Private Label manufacturing also known as Contract Manufacturing, is the Easy and Economical way of Bringing Quality and Innovative Products into market. With the Royalty of Your Own Brand in your hands. If you have Concept that your market can respond aloud, we have enough resources and infrastructure to convert your Concept into Market Winning Product. We at Insto always believes that, quality of the product and extremely high price tags don’t necessarily have to go hand in hand. We at Insto can provide you with the best quality products for your private label brand with reasonable price range. We take pride in every cosmetics product that we develop so we ensure that no product is released until we are satisfied with our high quality control standards. a) Formula Development – Our clients can select product from our best formulas or suggest any customizations to our existing formulas or suggest their own formula. Our Research and Development team guides our clients through every potholes in work relating to formula development. b) Product manufacturing – We are a team of Dedicated people having vast experience in the field of manufacturing Cosmetics product and private labelling for international cosmetics brands. 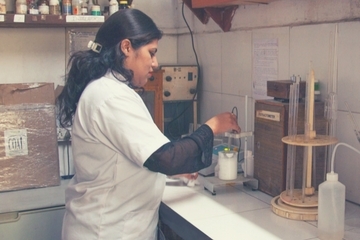 Our team consisting of engineers, pharmacists, science graduates, and skilled & experienced employees. 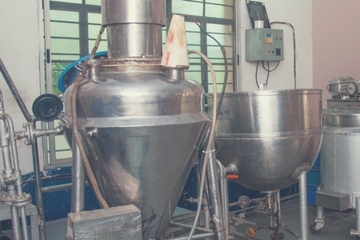 Manufacturing facility consists of well-designed hygienic plant located in Nashik India. Effective infrastructure and Eco friendly work environment with all the necessary machinery, required technicians & knowledge to produce & procure internationally acceptable quality & packaging requirements. 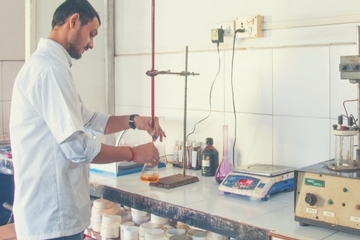 We also have facilities such as research & development set up, testing laboratory, computerized administrative offices. c) Filling and packaging – We have established lasting relations with quality packaging suppliers who are best in class. So you can rest assure for the quality and availability of the packing. With best packaging material for your Cosmetic Product we have all the machinery setup for filling of manufactured product. Raw Material Selection- We at Insto concentrate on continuous research and analysis of the latest trends & developments in health and beauty industry. Along with it, we continuously look for premium raw materials. We Collect samples of raw materials and select best among the batch to manufacture your product. 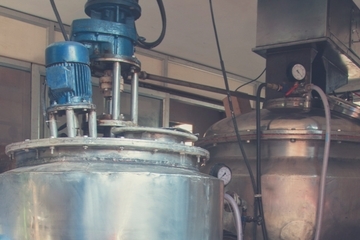 Industrial Mixers - Basic manufacturing process consists of two steps one of it is Base Creation and other is Active Ingredient mixing. We have in overall four number of Industrial mixers of 800 kg, 500kg, 90kg and 80kg. We use quality vessel mixing machines which have multiple axes of rotation of blades and temperature control units in a vessel to get require thickness of the mixture. Active ingredients are mixed according to appropriate phase of manufacturing. We ensure correct viscosity of the mixture and mix the ingredients until and unless we get specified homogeneity. Manufacturing & Quality Control- Your products are made with the highest quality control. 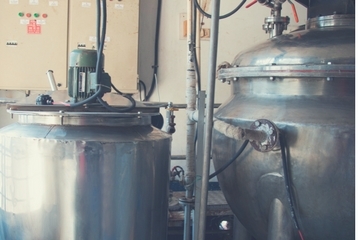 All batches are monitored in a controlled temperature to get the consistency of the product over time. Accordingly, all production batches are tested in comparison to the original R&D batch to ensure that appearance, consistency, and quality are maintained. Branding and Packaging Appealing packaging is a vital element in the development of your private label product. Our experienced team will work closely with you to create the best packaging that your products deserve. Along with this perfect filling machines, packaging is also a necessity. We at Insto have 2 jar fillers, 1 powder filling machine and 1 tube filler for that purpose. We also have two storage vessel of 500kg each which can hold manufactured product until you want to package it.